Built along the mighty Niagara River in 1906, the Toronto Power Generating Station was the first Canadian owned hydro-electric power plant. It was constructed in a grand Beaux-Arts style and is a remarkable piece of architecture, gaining designation as a National Historic Site of Canada in 1983. But despite it’s beautiful classical facade and historical significance, the plant has sat empty since it ceased operations in the 1970s. 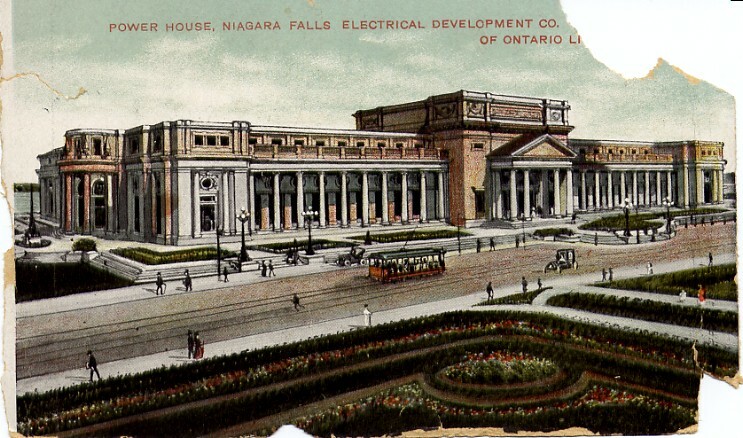 It is not alone- there are at least four historic properties in the area: right across the street is the Rankine Generating Station, and further along the Niagara river are the Ontario Power Company Generating Station and the Niagara Gate House. All of these industrial architectural monuments have been decommissioned from use and have been sitting relatively empty for decades. The properties are now owned and managed by the Niagara Parks Commission. The Commission often makes local news headlines searching for an answer of what to do with these empty masterpieces- they were hopeful a solution would be found in 2009, again in 2013, and are still hopeful today that a new use will grant these buildings new life. If significant architecture sits in disrepair for decades, ought it still be preserved until a use is found? Does industrial adaptive reuse work in less-dense urban settings, or is this only effective in urban cores? 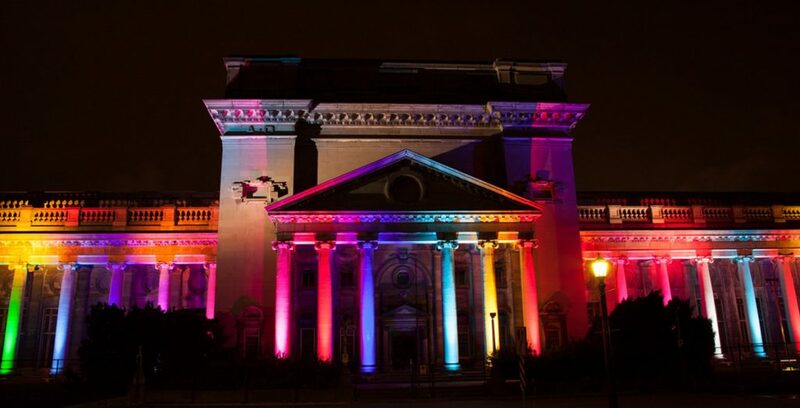 The exterior of the Toronto Power Generating Station is part of the “Winter Festival of Lights” held by Ontario Power Generation. Power plants themselves are ripe for adaptive reuse as the structure of the building is almost always in the exterior walls; this leaves vast open spaces which can be embraced or easily redivided. The most famous adaptive reuse of a generating station is Herzog and de Meuron’s Bankside Power Station, which they transformed into London’s Tate Modern. In Austin, Texas, the Seaholm Power Plant, also a registered historic site, was adapted into a live-work community with 30 story towers added on top of the original properties, which were converted into mixed-use spaces. While both these projects were clearly a success, the sites were adjacent to the downtown core of a large city. While a large tourist destination, Niagara isn’t nearly as dense and the sites are further removed from the urban core. What uses for these sites could be supported by tourism alone? What uses might draw even more tourists as another destination for the area? As technology advances, and cities close previously essential industries for more efficient means, what do we do with the skeletons they leave behind?